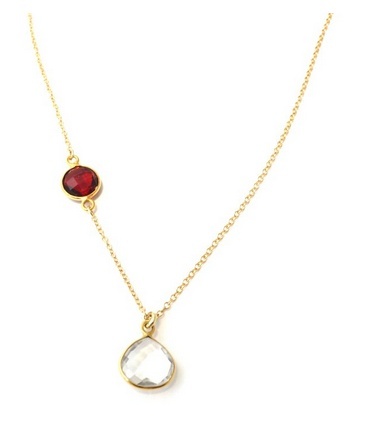 January: The vivid garnet stone is said to represent eternity, truth and faithfulness for those born in the month of January. 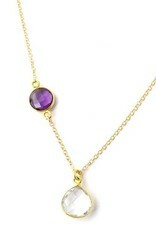 February: Beautiful amethyst that represents the peace and inner-strength of all February birthdays. 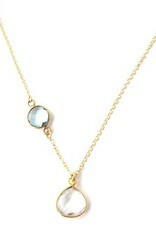 March: Lovely sky blue topaz to represent the traditional birthstone hue for March. 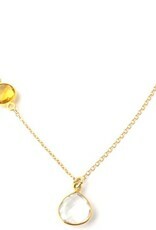 This stone symbolizes courage, confidence, and happiness. 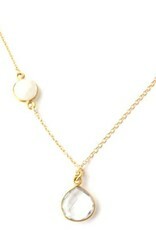 April: Represent your birthday month in this touch of class chain. 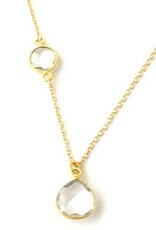 A clear, sparkling crystal stone represents eternity, health and abundance for April-born babies. 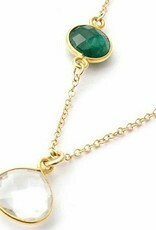 May: Brilliant emerald stone to symbolize a May birthday. 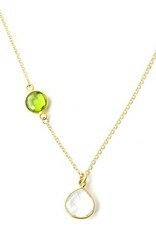 This stone is thought to represent rebirth, good fortune, and youth. 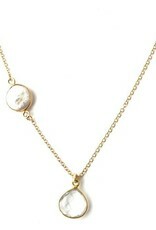 June: Pretty and passionate, this Pearl chain represents the purity, faith, loyalty, integrity, of all June birthdays. 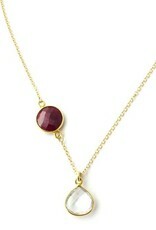 July: Wear the hue symbolic of July birthdays in this beautiful Ruby stone. 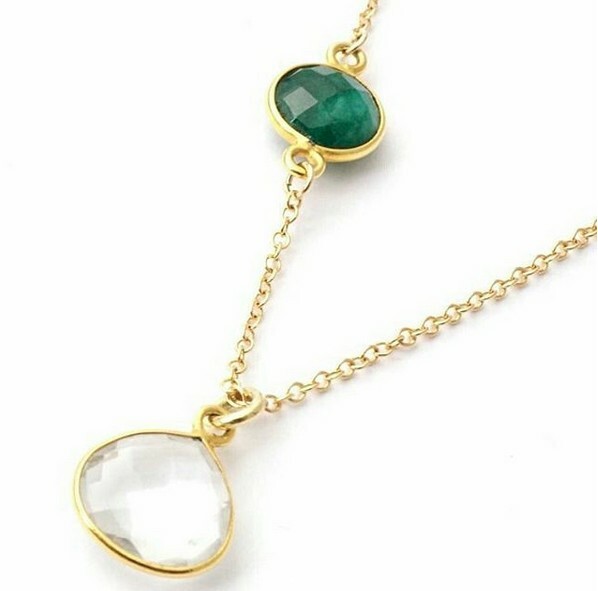 This stone is said to be the gemstone that arouses the senses and stirs the imagination. 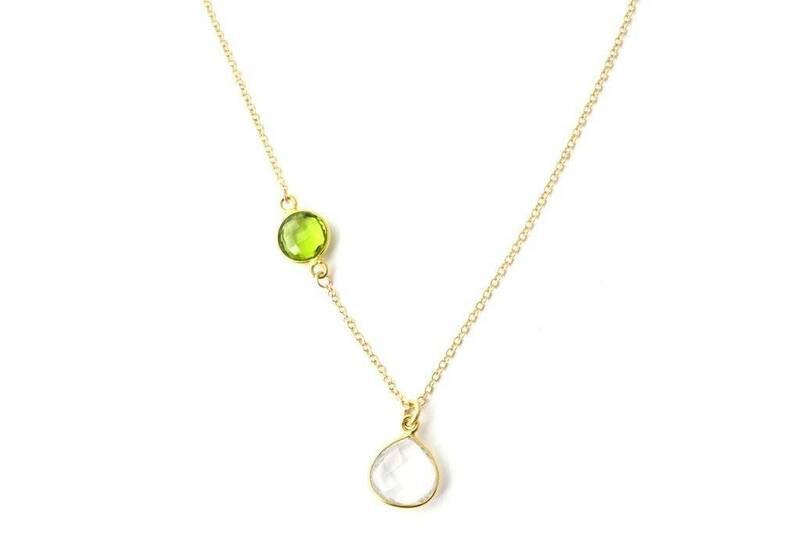 August: Representative of August birthdays, this bright Peridot Stone is thought to symbolize success, good fortune and loyalty. 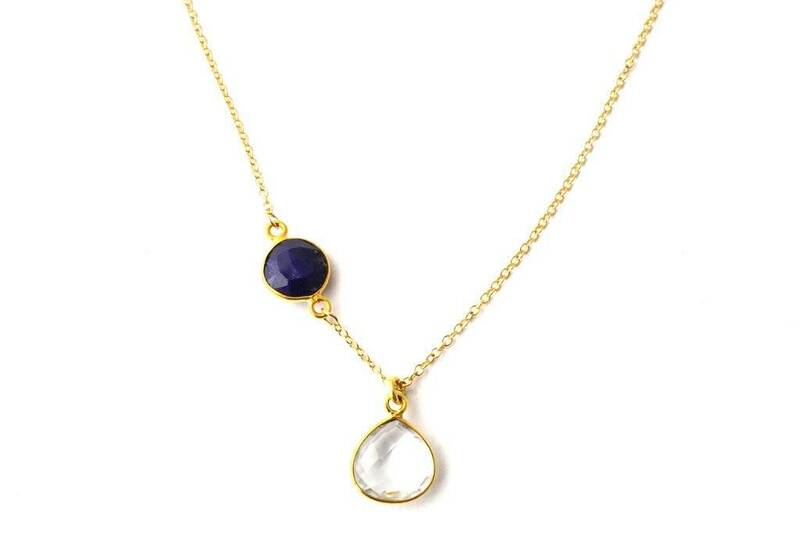 September: The Sapphire is the stone symbolic to those born in September, representing heaven, and the power to protect your loved ones from envy and harm in a pretty and stylish gemstone chain. 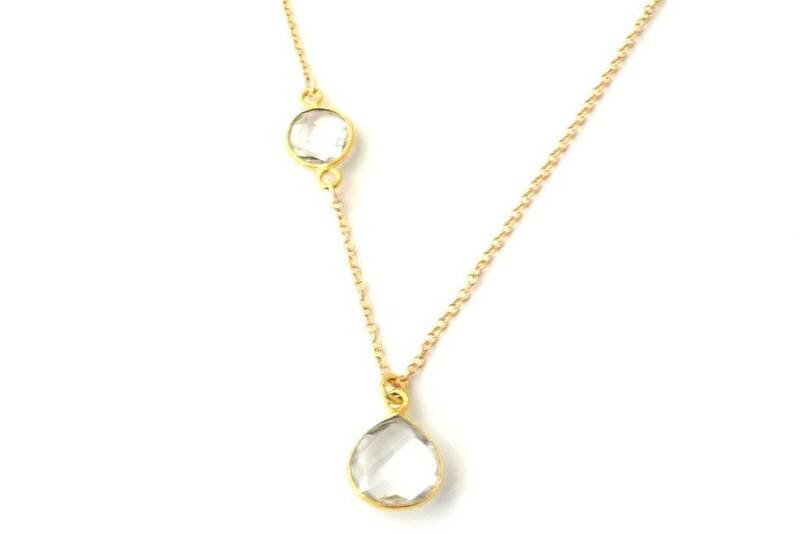 October: This beautiful Opalite is a symbol of October birthdays. 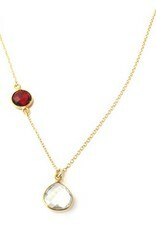 It holds the power of mystery and radiates success, passion and beauty for those with October birthdays. 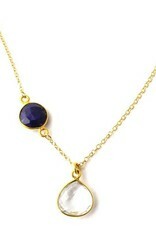 Don a tiny symbol of your birthday month in this beautiful stone. November: A cheerful pop of color made for November birthdays. 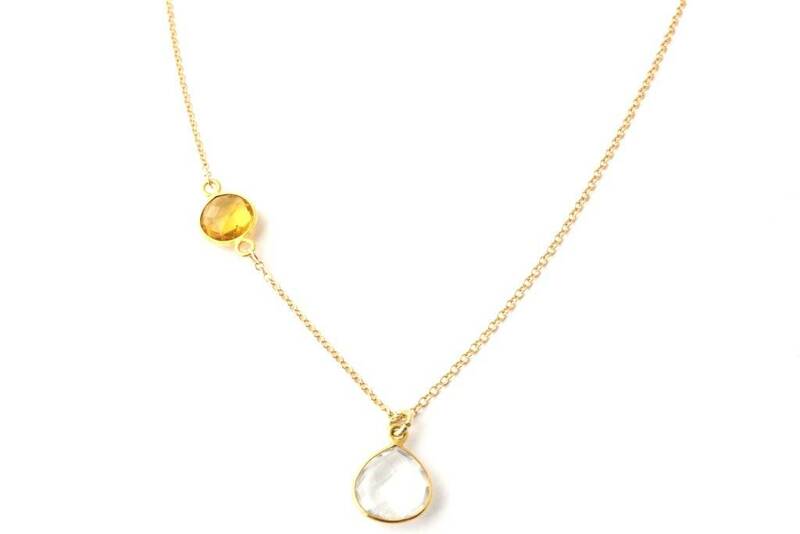 The Citrine stone is symbolic of optimism, energy and warmth to November babies. 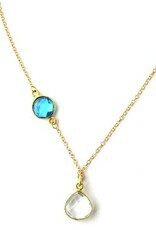 December: The Blue Topaz stone is the symbol for those born in December, and represents love and affection. 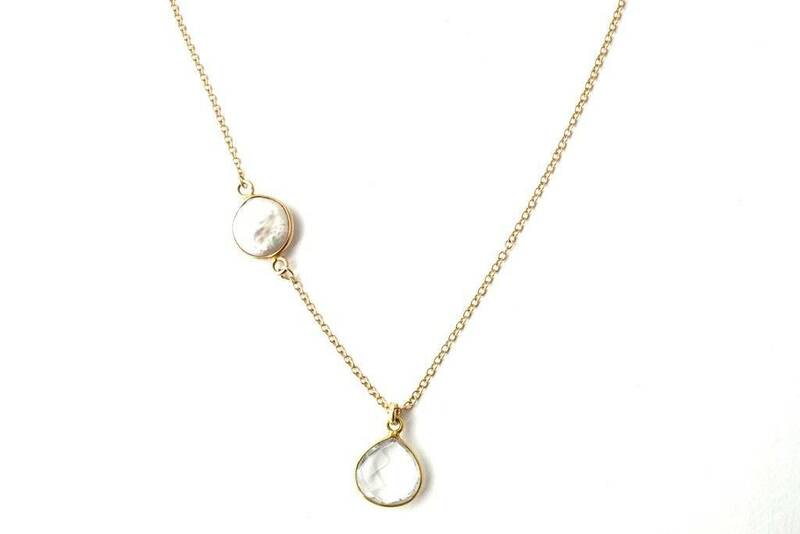 * Chain approximately 16" long, adjustable to 18"